2 Beds 3 Baths 1 Partial Bath 2,369 Sq. 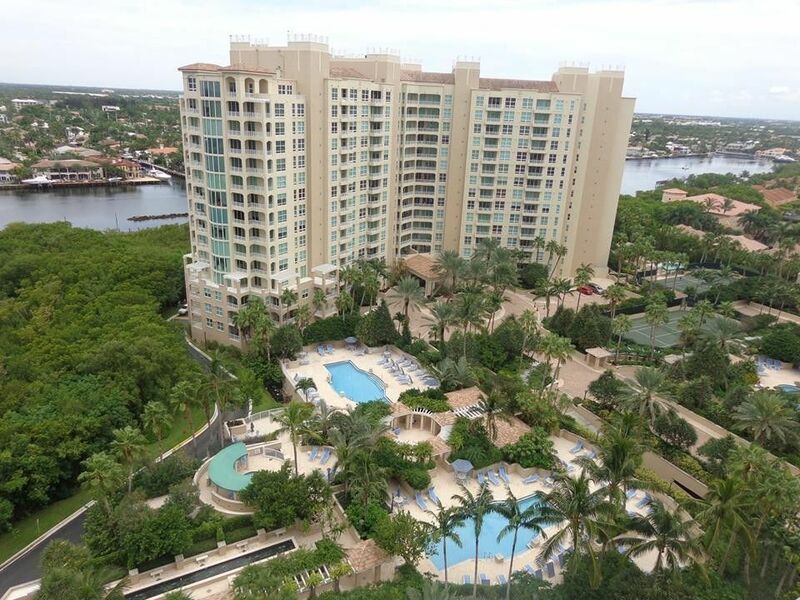 ft.
Beautiful Toscana furnished seasonal rental w stunning ocean & direct Intracoastal views! Modern/elegant furniture. Recently painted & new marble floors. 4 mo. min. Gorgeous modern new lobby! 24-hour manned gated, luxury oceanfront community, w 2 tennis courts, bocce ball court, shuffleboard, and a private beach with beach club. Each Toscana building has a heated pool and hot tub with attendant, cabana baths, fitness center, sauna, steam room, locker room, billiard's room, social room, TV room, business center, kitchen, private coded elevator access to each apartment, underground parking, valet parking, 24-hour concierge service & staff, bicycle storage, and on-site maintenance & management. Come see what the Toscana Lifestyle is all about! 5 min. away from trendy Delray Beach & Boca Raton Highland Beach is a small exclusive beach town located just south of the City of Delray Beach and north of Boca Raton in Florida. The Town is 1.1 total square miles. Highland Beach is a coastal community with a year-round population of 4, 150 which increases to approximately 8, 500 during the winter months. The roughly three mile stretch of beach in the Town of Highland Beach provides our residents with a place to relax and recreate. Our beaches also serve as critical nesting grounds for endangered sea turtles. The Town of Highland Beach has a Post Office, Fire Department, Police Station & a Public Library overlooking the Intracoastal. Enjoy the Lifestyle of the Rich and Famous for a Fraction of the Price, in Highland Beach, Florida! Famous football, hockey, and tennis players, have lived in Highland Beach throughout the years. CEOs, Nascar Drivers, actors, and other wealthy people have called Highland Beach their permanent home, or their home away from home, for years. A few things make Highland Beach so special:Highland Beach is a very quiet little coastal town. Highland Beach has lower crime rates compared to other cities in Florida and the USA. Ranked #2 in the 2015 Safest Cities in Florida Study prepared by ValuePenguin.com . Other websites such as CityRating.com also provide data about the low crime rates in this quaint coastal town. Voted one of the most Livable Cities in Florida and the USA by AreaVibes.com and one of the best cities to live in Palm Beach County by Livability.com. Highland Beach is one of the most exclusive coastal towns in the US. It is also one of the highest income per capita towns in the USA. Highland Beach's zip code 33487 ranked #24 on the list of the wealthiest zip codes in Florida by the South Florida Business Journal .There are lots of attractions nearby. Highland Beach is just 5 minutes away from famed Atlantic Ave. in Delray Beach, and Boca Raton's Downtown. The quaint coastal town of Deerfield Beach is located just 10 minutes away, and the exclusive city of Palm Beach is just about 20 minutes away. Highland Beach is 30 minutes away from 2 major airports and 10 minutes away from the Boca Raton Airport. Here in Highland Beach, it is sunny most of the year! Escape the cold during the winter months! Directions: Spanish River to A1A. Go North about 1 mile to Toscana Towers on the west side of the street.